Edward Alexander MacDowell was born in New York on the 18 December 1860, the son of a milkman. His mother was a amateur musician who arranged piano lessons for him with their boarder. He travelled with his mother to Paris in 1877, where he gained admission to the Paris Conservatory. He later studied piano and composition at the Hoch'sche Conservatory in Frankfurt. When Franz Liszt visited in 1879 and attended a recital of student compositions, MacDowell presented some of his own compositions along with a transcription of a Liszt symphonic poem. Lizst was impressed and encouraged him to continue in composition. In 1884, he married Marian Griswold Nevins, who had been one of his piano students. The MacDowells settled first in Frankfurt, then in Wiesbaden. From 1885 to 1888 he devoted himself almost exclusively to composition. Driven in part by financial difficulties, they decided to return to America in the autumn of 1888. They lived in Boston until 1896, when he became professor of music at Columbia University, a position he held until 1904. MacDowell's compositions include two piano concertos, two orchestral suites, four symphonic poems, four piano sonatas, piano suites, and songs. He also published many piano transcriptions of 18th century keyboard pieces. In 1904, he was one of the first seven people chosen for membership in the American Academy of Arts and Letters. As early as 1895, the MacDowells had planned to establish an artistic refuge near their summer home in Peterborough, New Hampshire. The "MacDowell colony" was eventually founded by Marian in 1907, and provided a quiet haven for for creative artists who could stay for short periods, with free board and lodging, to concentrate solely on their artistic endeavours. The colony was remarkably successful. Prominent among the participating artists were Aaron Copland who worked on Appalachian Spring while there, Leonard Bernstein who completed his Mass in the colony, and Dubose Heyward who worked on the libretto of Porgy and Bess. After an accident with a Hansom cab in 1904, MacDowell began to lose his mental capacity. A friend provided a touching description of his last years: "His mind became as that of a little child. He sat quietly, day after day, in a chair by a window, smiling patiently from time to time at those about him, turning the pages of a book of fairy tales that seemed to give him a definite pleasure, and greeting with a fugitive gleam of recognition certain of his more intimate friends." 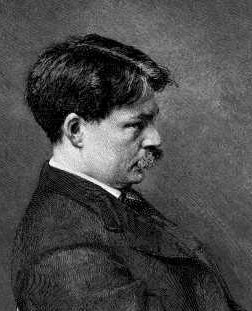 Edward MacDowell died in 1908 and was buried in MacDowell Colony. "To a Wild Rose" was originally published in 1896 as the first of a set of piano pieces called "Woodland Sketches". It has appeared in many arrangements and remains one of his most popular compositions due to its simple, unpretentious lyrical beauty. To a Wild Rose was performed by the Portobello orchestra on the 12th July 2008, conducted by Anthony Weeden.